Have you heard the news? We’re bringing back fifteen classic designs from Tatty Devine history as a limited edition collection and we need your help to decide the all important 15th piece. We’ve narrowed it down to five of Rosie, Harriet and Team Tatty’s favourite pieces, but it’s up to you to choose which one you think should come back. Join Team Tatty as we delve in the back stories, discover the design inspirations and state the case for each piece up for the vote. First up: the Banana Necklace! This delicious necklace originally launched back in 2011 as a fun fruity statement piece especially for summer: Harriet says, "I just had to have a Banana Necklace! When I first started designing it, it was probably something to do with the Velvet Underground. I'm a really big fan. Oh, and Andy Warhol, too. Fruit was having a bit of a moment in fashion at the time but it was all citrus fruit like lemons and oranges. One day, I thought, "Bendy Perspex - you could open a banana with that!" I remember sitting at my desk and trying to draw lots of tiny little bumps on the banana to get the right amount and shape! I could just envisage how beautifully it would peel and the smooth curve. The quality of the Perspex often inspires a piece just like something from the real world can. We'd just got our hands on new cream Perspex that was just right for a banana - totally delicious looking!" Harriet and Rosie determinedly developed the techniques needed to perfectly replicate the banana in Perspex and it soon made its way in store and online to capture Tatty Devine fans' hearts. Of course, you can't ignore a life sized Banana Necklace and this tasty piece caused lots of excitement in the fashion press. It even headed to the Maldives for a very special The Daily Telegraph shoot with legendary fashion director Hilary Alexander! 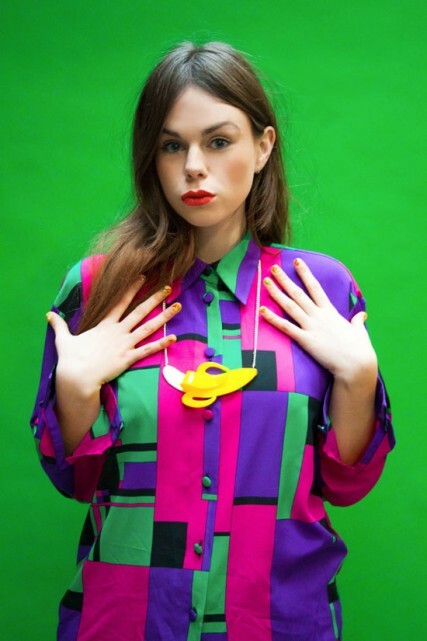 We headed back into our archives to find the very first photoshoot of the Banana Necklace and here it is! We do love a theme, and our model's nails were embellished with teeny tiny fruit charms to suit the occasion: Team Tatty says: Kent studio star Jenni: "I have to say I would have to vote for the Banana Necklace. I was so sad to have missed out on this piece when it came out in 2011. Every time I see this piece I can't help but smile!" 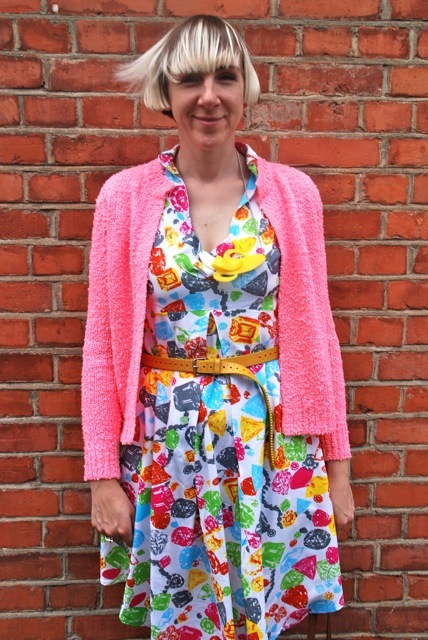 Store star Nancy: "This fun tutti frutti number is a must have! As new research suggests...it is in fact, a banana a day that keeps the doctor away!" Stores Manager Amy: "I love the Banana Necklace! Everyone always stares when I wear it out in public. I like wearing with a vintage tropical print dress in the summer." 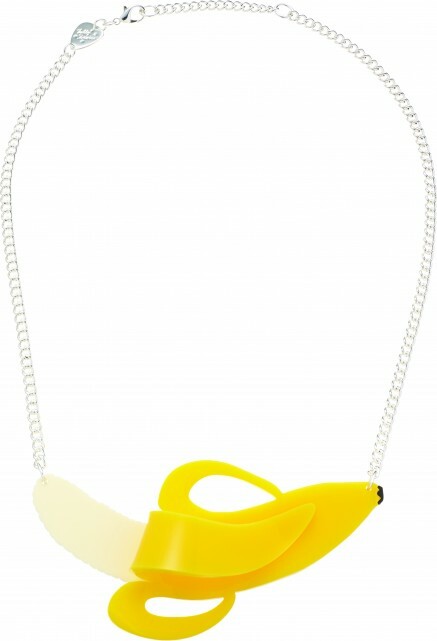 Fallen for the Banana Necklace? Simply head over to our Facebook album and cast your vote by liking your favourite piece. The most popular piece will launch in store and online as part of our 15th birthday collection, and one lucky voter will win the chosen piece for their collection. Yes, really! Hurry, you only have until midnight on Sunday 13th July to have your say. Get involved and champion the Banana Necklace on Twitter and Instagram with the hashtag#TDBringItBack now!